I still remember the moment when I first met KYPRIS Beauty founder Chase Polan. We were in Los Angeles for a green beauty event, and the sweet Marissa Waller of BeauTeaBar invited me and other beauty addicts to a pre-event beauty party to kick off the exciting weekend ahead. 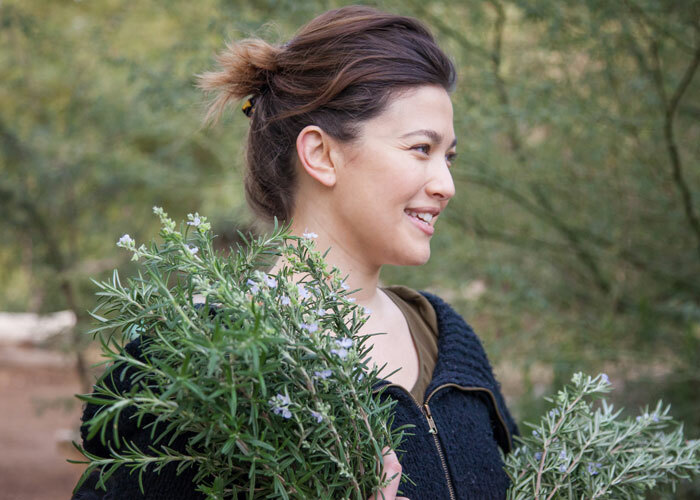 Green beauty lovers everywhere were giddy to finally meet IRL, but little did I know that I’d be meeting a brand founder who wasn’t on my radar and who would end up being someone I loved talking business and beauty with from then on. Of course, that woman was Chase Polan, the brains and beauty behind KYPRIS, a line that marries soul with science — and doesn’t skimp on glamour or effectiveness. It was during that meeting in 2014 where I learned about KYPRIS’ rockstar serums and oils and her straightforward emulsifying technique (a few drops of Antioxidant Dew and a few drops of Beauty Elixir mixed together instead of layered). Seems kinda silly to think about how new this was to me, but at the time, layering skincare was just what I did, as mixing terrified me. KYPRIS is a line that’s meant to be mixed and matched, which makes it fantastic for customizing to exactly what your skin needs without buying an excessive number of products. The care Chase took in launching her brand to a wider audience was exceptional. And that’s why today, she’s continuing to surprise and delight customers with interesting new products and category expansions that meet skincare divas’ needs left and right. Her latest creations that have me excited are Glow Philtre and Deep Forest Clay, two new masks that refine the skin (Glow Philtre) and de-gunk pores (Deep Forest Clay). They’re currently under more testing, but my first impressions after a couple of uses have me excited to share them with you — and ensure that if you’re an avid KYPRIS fan, you’ll get an extra special taste of these new launches if you wish (which you can find at the end of this post!). As always, I’ve starred the products I also use and love. Marissa at BeauTeaBar introduced me to this fabulous brand. This is the only natural shampoo and conditioner I’ve tried that doesn’t irritate my scalp or weigh down my hair. I love this scent-neutral formula that never fails and never irritates my skin. Plus, it’s very affordable and available at your local health food store or grocery store (like Whole Foods or Sprouts). One of my absolute most favorite ways to complete the day. After cleansing my face, applying a full dropper of *Beauty Elixir to my face or the *Glow Philtre: Soaking in a very salty, very warm bath. This is my cure-all for sore muscles, stress in my body, anxiety before sleep, and winding down for the evening. Soaking in epsom salt is also a fantastic source of magnesium, which has shown to be absorbed transdermally. Magnesium is responsible for over 300 processes in our body, and our soil is famously depleted of it. 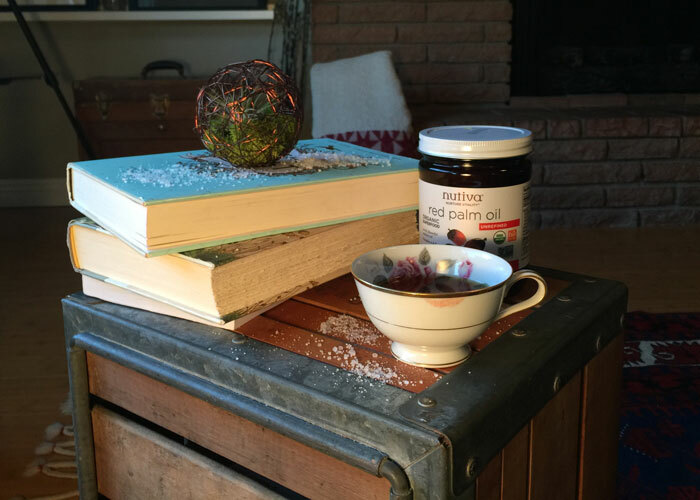 Biologically speaking, we use magnesium quickly, relative to other nutrients. Out of the tub, I slather on the *Body Elixir in Inflorescence. Cute. Comfortable. Buy one pair. Give one pair. Need I say more? My favorite are all of the different artist collaborations and the lacy ones. My friend Ivy over at Clean Cuisine introduced me to the benefits of Red Palm Oil. I love coconut oil, too, however I find it sweet or associate it more with dessert. When I want something that is more savory, with beneficial fatty acids, heat stability and ample antioxidants, this is my go-to. I use it for cooking eggs, popping popcorn and any time I don’t feel like using organic, pastured butter or coconut oil. Collagen, minerals, fats, vitamins. The ultra-nourishing gifts of bones. I drink a cup of this in the morning a few times per week, especially in winter. KYPRIS is extending a special Gift with Purchase offer for kimberlyloc.com readers. 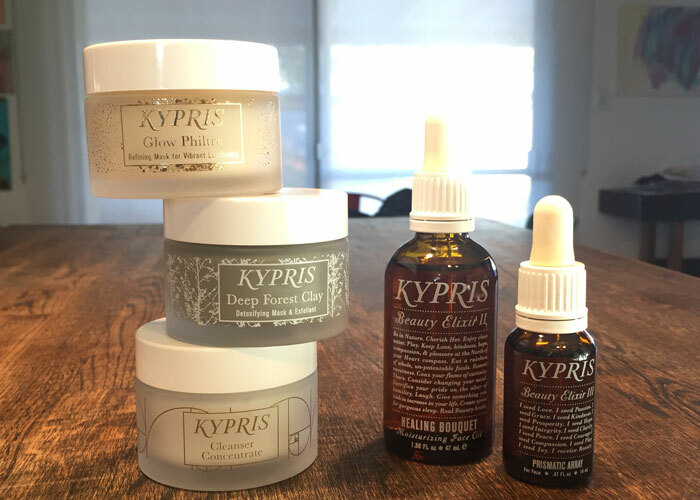 With your $100 purchase on kyprisbeauty.com, you’ll receive deluxe samples of Deep Forest Clay and Glow Philtre (new kimberlyloc favorites!) and two additional deluxe samples of your choice. Offer ends Sunday, March 5 at midnight PST. No code required; all qualified orders placed in this timeframe will receive the gift with purchase.